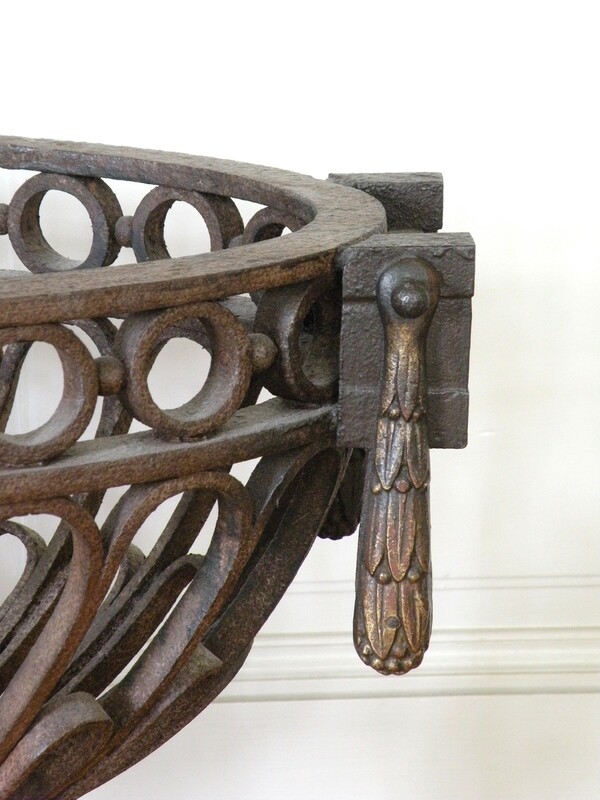 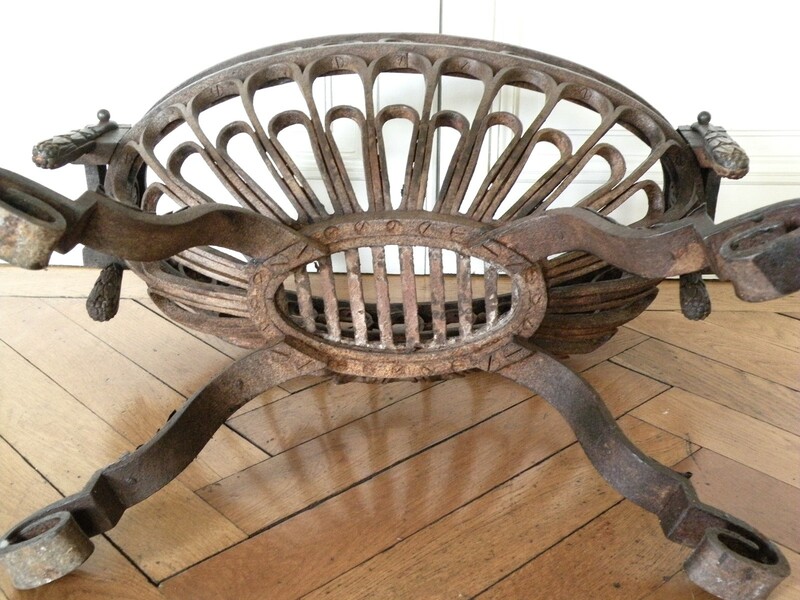 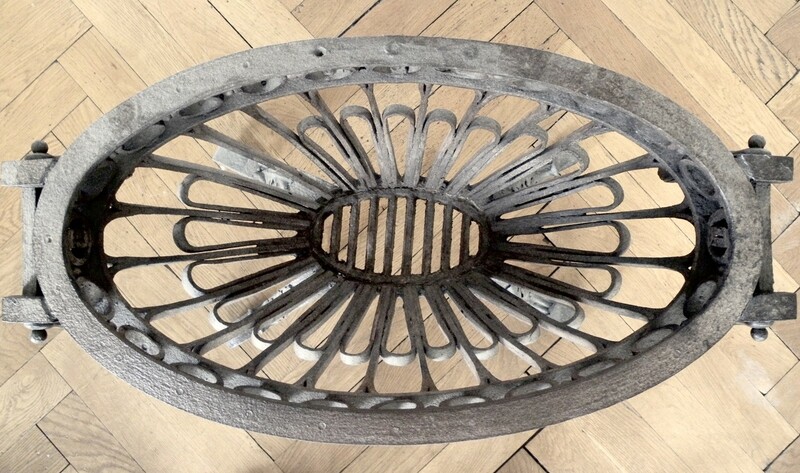 A fine and rare wrought iron oval fire basket with bronze mounts of neo-classical design. 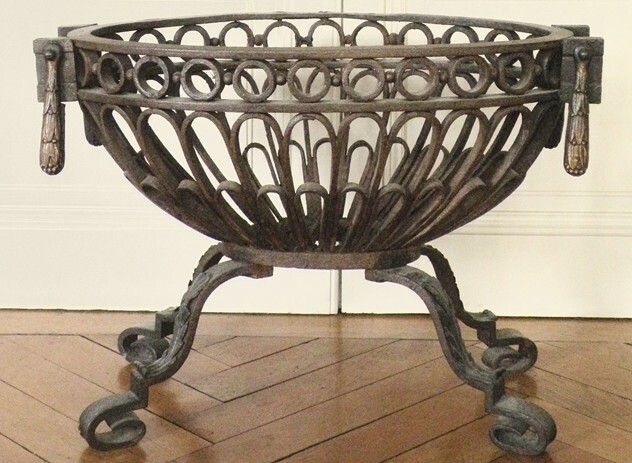 Beautifully proportioned and very elegant . 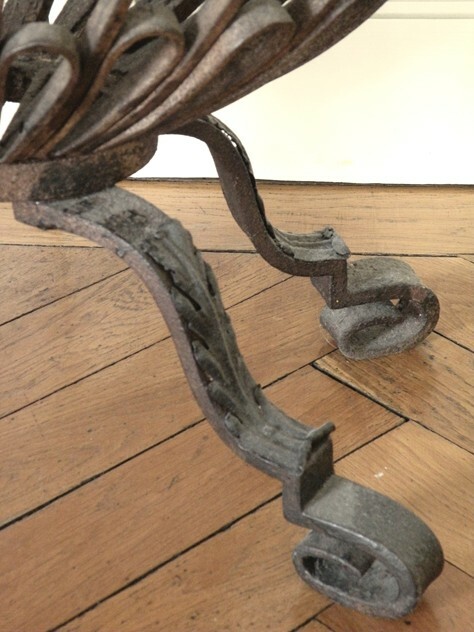 some minor losses and wear commensurate with age.